Z nekaterimi sličicami težko izdelam voščilnico, ki bi mi bila všeč. Pri tej prikupni štampiljki samoroga pa so se delčki kar sami sestavljali. Na koncu sem bila zadovoljna tako z barvanjem, izborom barvne palete in seveda množico rezalnih šablon, ki sem jih uporabila. Voščilnico sem izdelala s sponsorsko štampiljko Polkadoodles, za nov izziv pri Colour Crazy. Vabljeni, da se potegujete za lepo nagrado saj je tema kot vedno lahka - Karkoli. - Creative Fingers Challenge #157-Anything Goes. Amazing coloring on this adorable card and I love all the different elements going on here. Thank you so much for entering our ATG challenge at Through The Craft Room Door this week. Looking forward to see you again next challenge. This is such a beuaitufl card. Love the PD image, fabulous papers and gorgeous design. 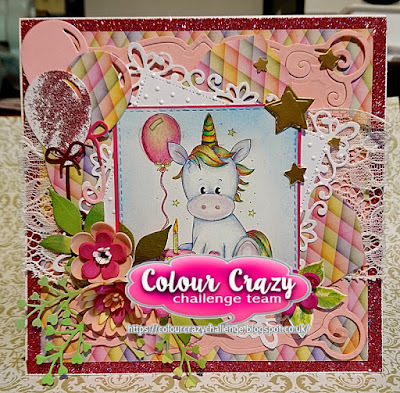 Thank you for playing along at Polkadoodles Crafting https://polkadoodle.blogspot.com/, good luck. Aww what a sweet and pretty card. Love the image and beautifully coloured. 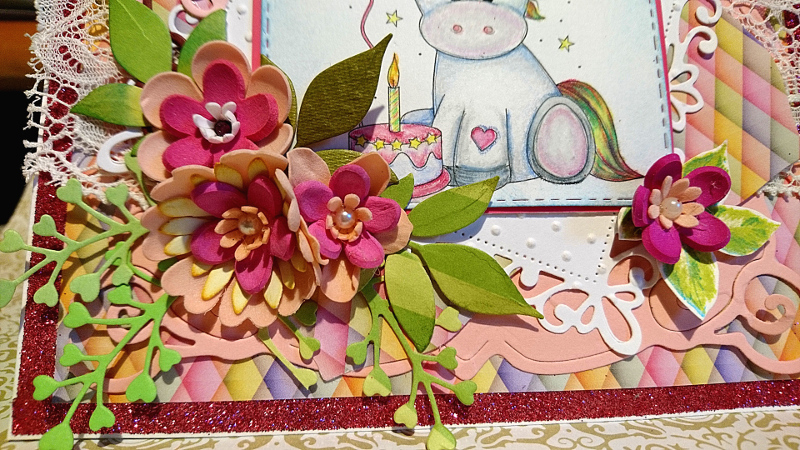 Thank you for sharing your beautiful make with us over at Polkadoodles Crafting and hope you will join us again. Hi Marjeta, WOW this is an explosion of cuteness!! 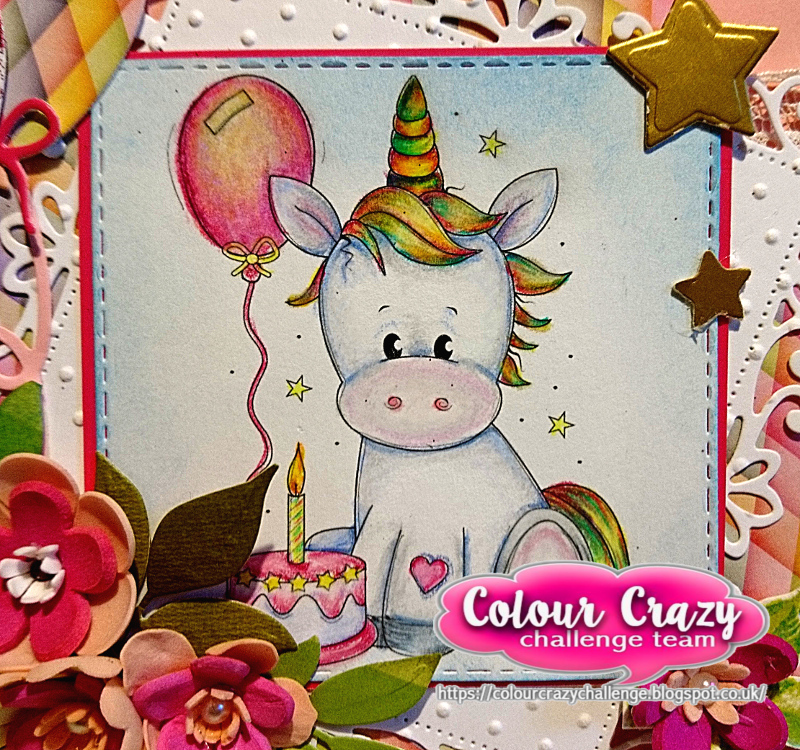 Love that li'l unicorn and great job coloring it! LOVE your 3d flower arrangement in corner -- SOO PRETTY!